George Simpson Award for Research and Clinical Excellence from Bergen Pines County Hospital.,Teacher of the Year by the Department of Psychiatry of the Mount Sinai Service at Elmhurst Hospital Center. Pritesh J. Shah, MD, is a board-certified, fellowship-trained psychiatrist with special interests in adult, geriatric and forensic psychiatry. He is a member of the American Academy of Psychiatry and the Law. Dr. Shah has been named a Top Doctor by Castle Connolly. Dr. Shah has served as an Assistant Clinical Professor in Psychiatry at Mount Sinai School of Medicine and Clinical Instructor in Psychiatry at New York University School of Medicine. He was honored as Teacher of the Year by the Department of Psychiatry of the Mount Sinai Service at Elmhurst Hospital Center and received the George Simpson Award for Research and Clinical Excellence from Bergen Pines County Hospital's residency training program. Dr. Shah was also a visiting lecturer in psychiatry for the residency training program at Bergen Regional Medical Center. Dr. Shah served as Director of Forensic Psychiatry for the Mount Sinai Service at Elmhurst Hospital. He was also the Director of the Geriatric Psychiatry Unit at Barnet Hospital in Paterson. Dr. Shah earned his medical degree from B.J. Medical College of Gujarat University. 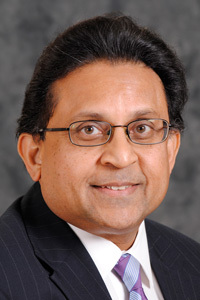 After completing one year of non-accredited residency training at the VA Medical Center in Newington, Conn., he completed a full-accredited residency in psychiatry at the Bergen Regional Medical Center in Paramus, N.J. Dr. Shah also completed two forensic psychiatry fellowships, one at New York University, the other a non-accredited program at University of Pennsylvania Center for Studies in Socio-Legal Psychiatry.